Sling TV is one of the best values out there for cord-cutters looking to trim their monthly entertainment budget without giving up complete access to pay-TV. Despite its competitive price and expansive catalog of channels to choose from, one of the biggest criticisms of the service is the fact that it doesn’t offer DVR functionality. 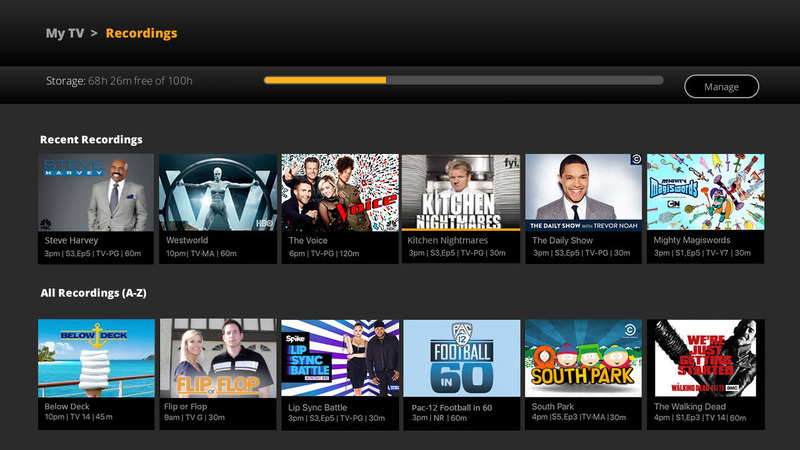 On Monday, Sling TV addressed that shortcoming with the announcement of its own cloud-based DVR. Beginning today, Sling TV customers using a Roku streaming device can request to participate in the cloud DVR beta program that gets under way next month. Support for additional devices will be added at a later date, we're told. When the beta launches, participants will be able to record and store up to 100 hours of content in the cloud. In a direct jab at rival Sony and its PlayStation Vue service, Sling TV says its DVR will not impose a 28-day restriction on recordings. Users will also be able to record multiple programs simultaneously and have the ability to pause, rewind and fast-forward recorded content just like on a DVR from a cable or satellite provider. Sling TV does note in its press release, however, that DVR functionality will not be available on all channels (likely due to streaming rights). It’s too early to know which channels can and cannot be recorded but this is something to keep an eye on once the service exits beta. Sling TV says it will continue to evolve the DVR functionality over the course of the beta with plans to add additional features like the ability to upgrade storage space and protect recordings in due time. Existing customers can request an invitation to participate in the beta by clicking here.